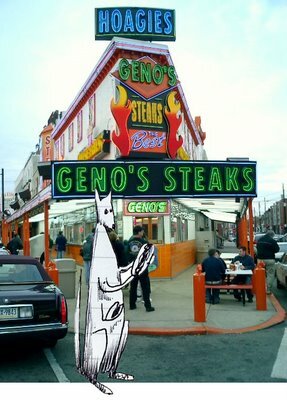 This doodle was a fast one so I only solved the kangaroo + cheesesteak part of the request. I took some Photoshop liberties with the rest. For full effect, grab a listen. This entry was posted in creature, doodle, doodles, requests. Bookmark the permalink.